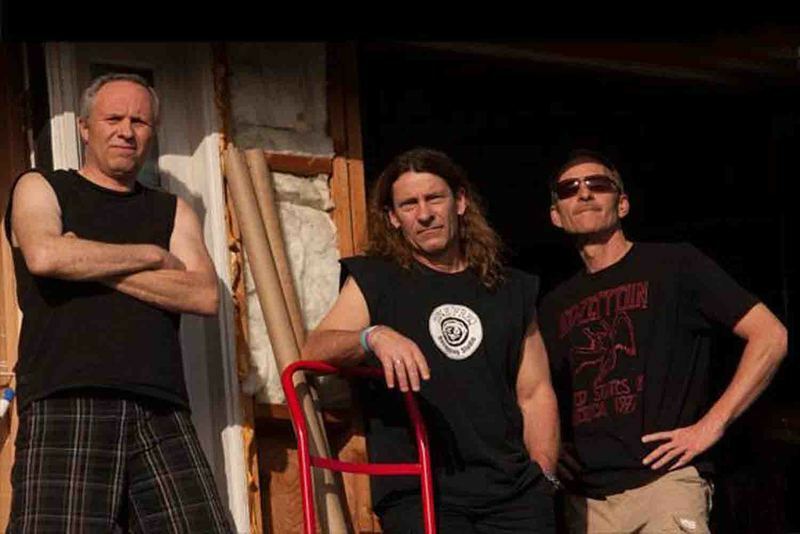 Ded Ringer consists of Bob Maddoux on guitars and lead vocals, Steve Lafond on drums, percussion, and backup vocals and Julio Garcia on bass and backup vocals. 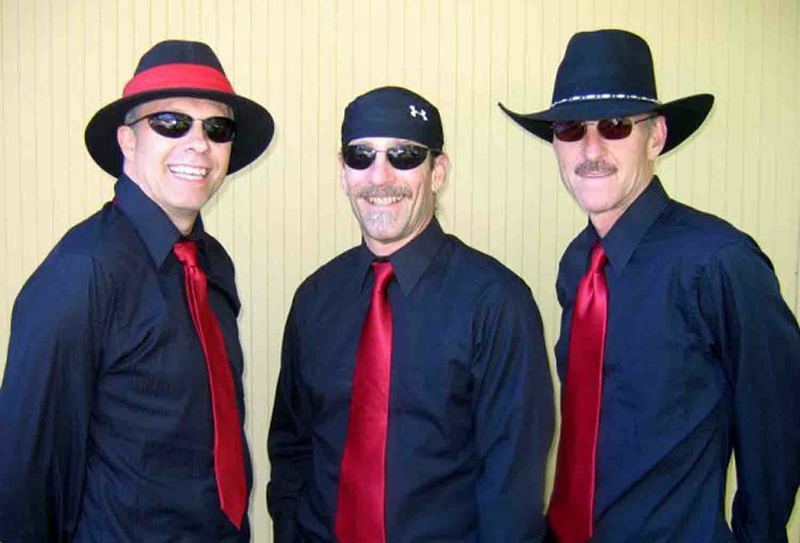 Bob does most of the song writing, while Steve and Julio contribute a tune from time to time, and all three help compose in the practice studio as ideas are meted out.All three members are veterans of the Bay Area music scene with over 30 years of experience at various local venues.The current Ded Ringer has been together over 10 years, bringing their combined experience together to produce a sound that is both unique and reminiscent of such greats as Van Halen, Tom Petty, ZZ Top, Frank Zappa, The Beatles, Todd Rundgren, The Who, and many others.The band recently finished and released their seventh CD, "Ded Eye". 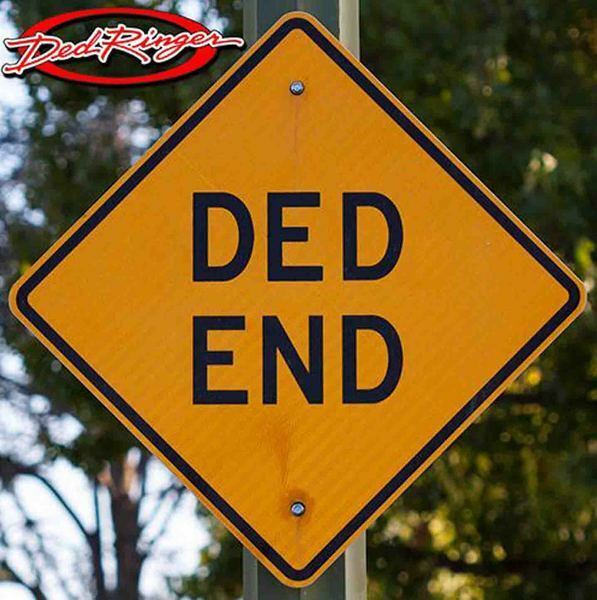 DR’s first CD "Ded On" featured Randy Petty on bass guitar. 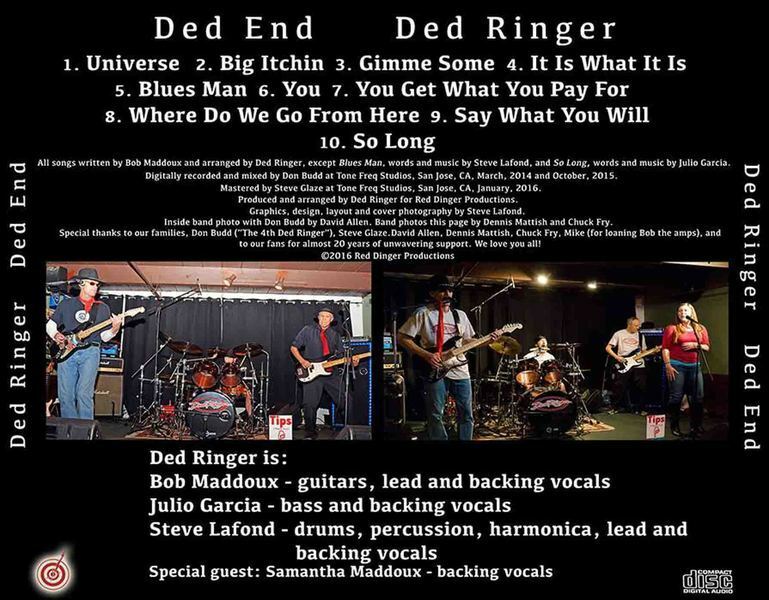 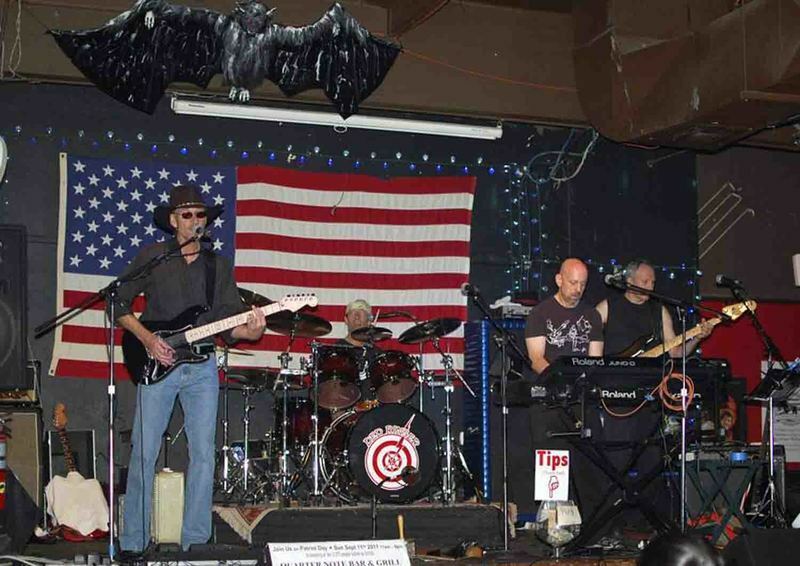 Then Julio Garcia joined and the band got prolific: six more CD’s (Ded Certain, DR seven, Mistaken Identity, Ded Ahead, Humdinger, and now, Ded Eye), and over 65 all-original tunes.Ded Ringer ROCKS!